At FMI your air freshener product will be expertly manufactured by our experienced compounders and packaged in our well-equipped filling facility. An air freshener is a product that emits fragrance to eliminate unpleasant odors in a room. Air fresheners contain ingredients which neutralize or adsorb unpleasant odors, thereby purifying the air. By product, air fresheners are segmented into sprays, plug-ins, gels, candles, and others such as beads and solids. Fresheners are used in residential, corporate offices, vehicles, hotels, hospitals, public bathrooms, and many other applications. Concerns over indoor air quality have led to an increased worldwide demand for air fresheners. Some factors contributing to the demand are the growth in car sales, increase in pet ownership and higher disposable income to purchase prestige air fresheners. 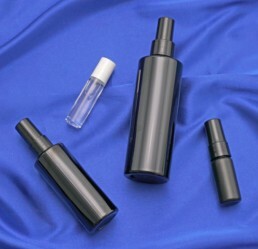 Contact us to inquire how FMI can formulate, manufacture and package your non-aerosol spray or solid air freshener product.